Jennifer Croft is a Founding Editor of The Buenos Aires Review. She was awarded a 2015 Translation Grant from the NEA for her work on Olga Tokarczuk’s Runners. Her translations from Polish, Spanish, and Ukrainian have been published in The New York Times, N+1, The Brooklyn Rail, The New Republic, Asymptote, Words Without Borders, World Literature Today, and elsewhere. She holds a PhD in Comparative Literary Studies from Northwestern University and an MFA in Literary Translation from The University of Iowa. Her first novel will be published in Spanish in 2015. Assistant Editor Alex Niemi interviewed her for M-Dash. M—: So, you just won an NEA grant recently! Congratulations! M—: The author you’re working on for that is Olga Tokarczuk, right? What sort of project is it? JC: It’s a project I’ve been working on for years called Runners. It was published in 2008 and won Poland’s biggest literature prize–it’s like the equivalent of the Pulitzer or something–the Nike. And it’s a really brilliant novel in fragments all having to do with the theme of travel or the body, usually both at the same time. The body in terms of circulation, the inner workings of the body, disintegration, death, etc. And I find it just to be a really beautiful, really brilliant, really compelling… and I think it was definitely her best book up until that point. Now she’s published, as of a few months ago, another novel called The Books of Jacob that I’m also going to be doing, which is also amazing (sidenote: Jennifer Croft won a 2015 Pen/Heim Translation Award for this project since our interview). It’s been a huge bestseller in Poland. It’s already gone through three print runs. It’s incredible. It’s 1,000 pages as well, which is even more incredible. M—: A lady magnum opus! JC: It’s like 2666. Actually, it reminds me a lot of Bolaño in terms of the energy that it has. It’s also structured kind of like The Savage Detectives, so it’s a bunch of different voices revolving around the same kind of central abyss, which Bolaño kind of has, this central unfathomability of the universe. It’s really great. Both of them are really great. So, I’m just finishing up the first one Runners, that I got the NEA for, now and also doing samples of the second one, The Books of Jacob, to send out. And I just created her Facebook page this morning, so we’re very excited. JC: Oh, good! Thank you so much. Actually, I noticed as of when you arrived that I had 65 “likes” and 10 of those were not my friends, so already we’re out in the world. JC: The mysteries of Facebook. I feel like if that many people found her by coincidence in one morning we should have no problem finding a publisher. M—: You should bring that up in your cover letter. JC: Well, I created the Facebook page in preparation for going to Book Expo America at the end of this month. I feel like social media is a really important part of selling anything. Not that I’m an expert or anything. M—: Yeah, I feel like it’s hard sometimes, if you’re not oriented that way, to get into online self-selling. JC: Yeah, Olga’s not into it at all. Well, she’s of a different generation and that’s just not her. She’s a writer and she wants to write, which, fair enough, I think that’s great. So I guess I get to do the rest. M—: Translators are secret publicists. M—: So, you’re translating Runners from Polish and I know that you’ve had sort of an interesting language trajectory. You started with Russian and learned Spanish at some point and now are centered in Buenos Aires. M—: What propelled you in all of these directions? And do you also know Ukrainian? I think I heard that you knew Ukrainian. JC: There’s a rumor! I started studying Ukrainian two years ago after I graduated from Northwestern just because there was this one writer in particular who I wanted to translate that I had read in Polish and I went to Ukraine to meet her and we stayed in touch. She came to visit me when I was living in Paris. M—: And who is this writer? JC: Her name is Natalka Sniadanko. My most recent translation of her was right as the war was breaking out was an op-ed piece in the New York Times. I started with Russian when I was pretty young, I mean, I was thirteen and interested in Russian. Then when I was here at the University of Iowa doing my MFA I started with Polish just by coincidence because they were offering it and I ended up getting along super, super well with the professor, Kit Wertz. His teaching style just really suited me perfectly. I ended up getting a Fulbright to go to Poland for a year and then I stayed for another year, so the Polish became pretty solidified and I ended up doing a Ph.D. in Comparative Literature headquartered in the Slavic department. Then I kind of dabbled in Romance Languages. I did take French and Italian. I never took Spanish. Then at Northwestern I dabbled in Russian again, but not seriously, and I thought that I might do a Polish/German thing, so I spent some time studying German. And then I just happened to go to Buenos Aires one winter. It was just really cold and it was really dark and I was desperate to leave Chicago for a little bit, so for spring break I just bought myself a ticket to Buenos Aires. I had never been to South America, I had never even been to Mexico because I didn’t speak any Spanish. I knew of Buenos Aires via Witold Gombrowicz who lived there for twenty-three years and wrote about it. But that’s all I knew and you don’t get a lot of clear information from him. I was there for two weeks and I absolutely fell head over heels in love with the city, so I decided immediately to learn Spanish. I took these private lessons with this really funny guy. I went over to his house every morning six days a week for two hours. We became kind of like brother and sister. Then I went to Paris for a year and Poland for a few months, but when I went back to Argentina I just kept staying there. I had no intention of actually moving there at any point, it just sort of happened that way. JC: Yeah, it’s really cool. 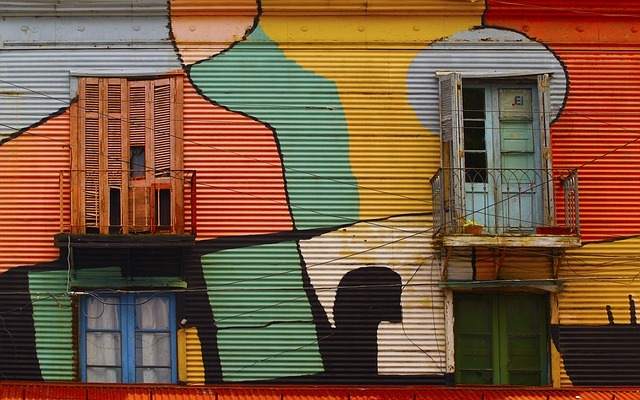 M—: So finding Buenos Aires was sort of the genesis for the Buenos Aires Review, I take it. You could have started a journal surrounding any of your other languages. JC: Yeah, so this other American translator, Heather Cleary, and I started it, along with my friend Maxine Swann, who’s an American novelist living in Buenos Aires, and the Argentine writer Pola Oloixarac. We all really felt like Buenos Aires had this uniquely vibrant arts and literature culture. There’s something there that is missing from, for example, the American arts scene where things are more professionalized perhaps, less fun in some ways. Also, when I first moved to Buenos Aires, I taught a class on contemporary and twentieth-century American literature, but there was a big problem because, though people were interested in it, there just weren’t translations. Either they didn’t exist at all or the translations were done in Spain, so the language felt really stiff and artificial and potentially ridiculous to the Argentine reader. And it’s really expensive: they’re imported and there are lots of taxes on them. So we wanted to make contemporary American literature really available in Spanish in Latin America online. It was always really important to me that everything be online so it could be available at the same time to everyone. So the idea was to open up a Pan-American conversation, which we’ve since expanded to include other places too. We have other languages like Chinese and Croatian and French and so forth. But yeah, the core idea is this Pan-American conversation that we wanted to help facilitate because we felt like there was a lot of energy in it. M—: So you edit, translate, do critical work and you also do some creative writing of your own? M—: What are you working on in that regard? JC: I just finished my first presentable novel, which I actually wrote in Spanish last August. I also produced an English version. I started and finished it in Spanish, but I got a little impatient with some sections and wrote them in English first! The versions are not translations of each other, there are some significant differences between the two, but I’m happy with both of them. Also, the English is being translated into Polish right now, so I’m excited for the race to see which one gets published first. And I was thinking, I have all these friends who translate into Japanese and Korean and German – maybe I should just not publish it in the States and make this really strong translation statement. We’ll see! M—: What drove you to write it in Spanish first? JC: There were a bunch of reasons. One of the most important reasons is that I had been working on a novel before that, which I will return to and was about translation. I think it fell under the influence of my dissertation and it had become really abstract and really convoluted. So I decided that I wanted to try and restrain myself in some way and I decided I wanted to write something about my childhood. Also, living in Buenos Aires, I thought it was kind of cool having this total separation between the work that I get paid for, which is Polish translation, and my social life, which tends to be in Spanish. But then nobody knows what I do. Well, they kind of vaguely know what I do, but nobody reads my work. And I grew up in Oklahoma, which to Argentines must seem like one of the most exotic things imaginable. (Laughs) So I remember the first section of the novel that I wrote was about when tornadoes came to Oklahoma, which is of course kind of playing up that exoticism. But it really worked well to write in a foreign language about my childhood in this really linear clear way. Then I just found that the style really took and it allowed me to write something much clearer than anything I had written before, which was great. It was a really useful conceptual tool. M—: That sounds really cool. How would you characterize the relationship between your translating and your writing and your critical work? You said your prior writing was all about translation and came under the thrall of your thesis. How do you sort everything out? JC: I’ve always thought of translation as a form of apprenticeship. I started translating short stories of Olga’s back when I was at Iowa over a decade ago. Then I translated a lot of other people between those first short stories and Runners, but I think she’s been a really important apprenticeship for me. My novel definitely couldn’t have happened without the influence of Olga, and an Argentine writer I’m translating now, as well, named Romina Paula. They are completely dissimilar, but that combination, I somehow distilled them and added a lot of stuff of my own to create a style that I feel worked. I feel like I’ve learned to write in all of these different ways. I wish all writers were able to translate. It’s the best way to study under someone. Reading is also good! M—: That’s what they always tell us! JC: Usually reading fuels me to write a critical essay or a review. But I’m not doing any academic work at the moment. M—: Do you think you’ll return to it? JC: I definitely want to go back to teaching, I love teaching. The thing is I also really love living in Buenos Aires, so we’ll see what happens! I’d like to teach for short periods and then return. M—: Do you think the ideal life of a translator should involve some form of transience? JC: No, I think most people would go crazy living the way I do. It works perfectly for me. But people, and reasonably so, want a base, a place where they clearly are living, which I kind of have. I consider Buenos Aires to be my base, but at the same time I travel a ton: I come back to the US quite a bit, I need to go to Europe, I need to go to Poland, etc. I feel like that’s kind of unsettling to a lot of people, to potentially feel very uprooted. I think translators should always live for periods in the countries they translate from, but there are of course exceptions. Clare Cavanagh, the reason I went to Northwestern, is an incredible translator, and she only goes to Poland for shorter stints. Her translations of Wislawa Szymborska are just astonishing. Really, the poem “Birthday” is why I did my PhD. M—: So we should all read “Birthday”? JC: Yes! Everyone should read it!